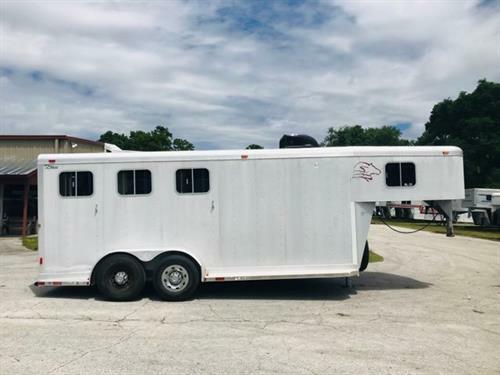 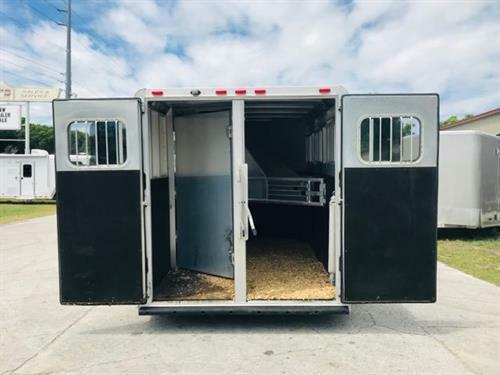 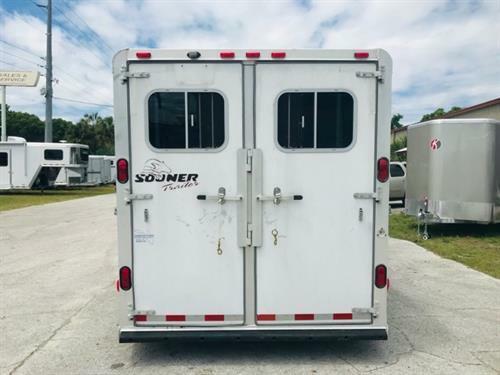 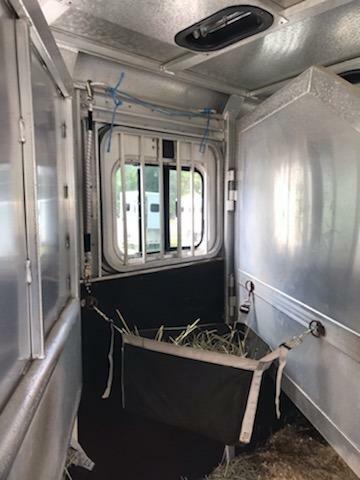 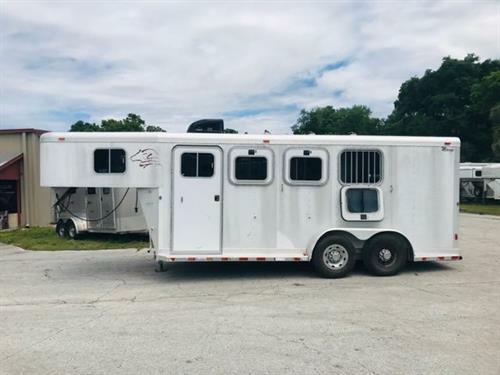 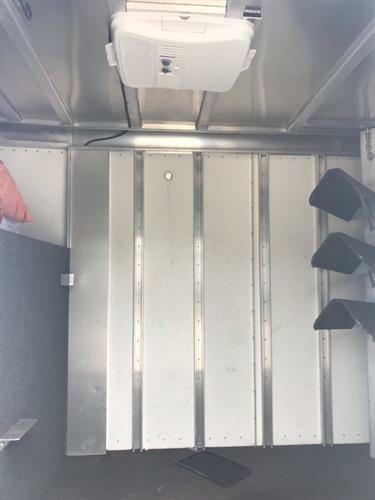 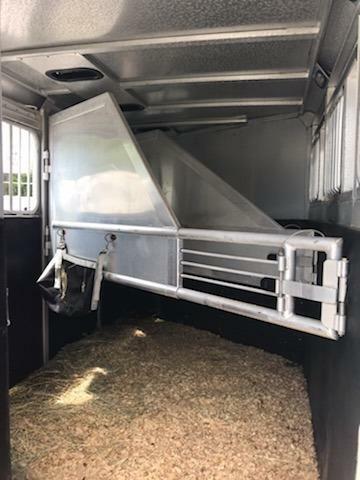 2002 Sooner (3) horse slant load trailer with a front tack room that has a brand new A/C unit and wired for 110V, removable saddle racks and bridle hooks. 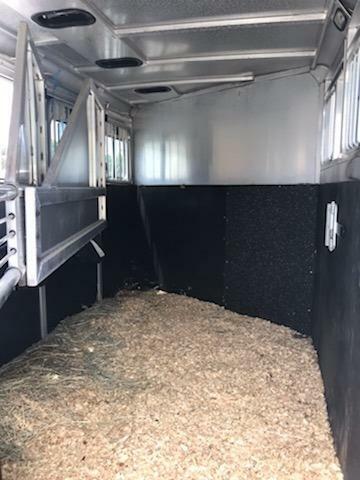 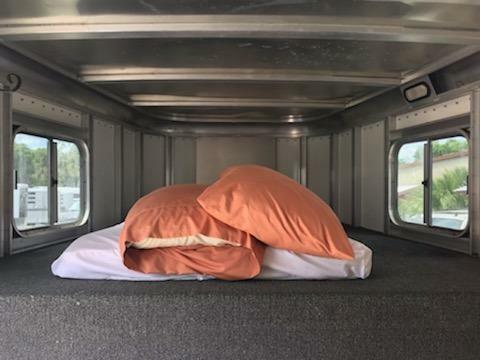 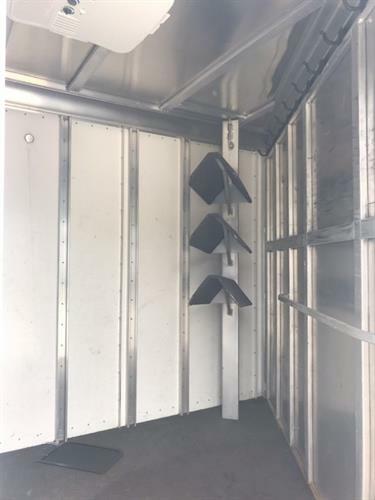 In the horse area you have an interior height at 7’ tall x 7’ wide, drop down windows at the horses heads with drop down aluminum bars, sliding bus windows at the horses hips, roof vents, rubber lined walls, rubber mats over all aluminum floor, rear collapsible tack room with more bridle hooks and double back rear doors! 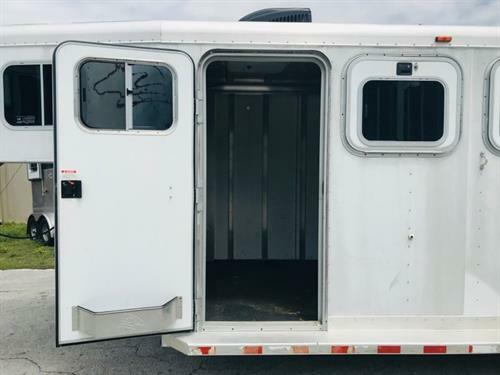 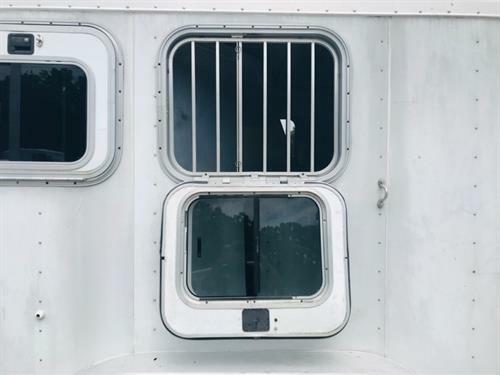 The exterior has a spare tire.